TheWF- 15S is a raw subwoofer. The driver is 15” in diameter with a 40 oz. magnet. This speaker can push out a total peak power of 900 watts. This is serious power! 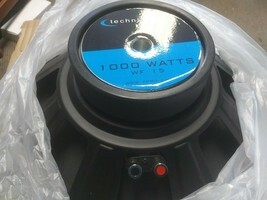 This series of woofers are the same products that can be found in Technical Pro’s loudspeaker boxes. If you are serious about building a professional speaker it’s important to use professional parts meant for audio professionals. Technical Pro’s components use an innovative technology and long lasting design meant to produce some of the highest quality audio outputs on the market today! 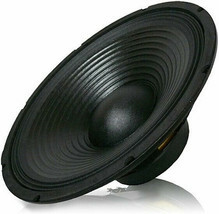 The Max series of raw components is quickly becoming the industry standard in speaker construction and design. Hands down, one of the top choices out there! The WF- 15S raw subwoofer is the go-to speaker component for a DIY audio engineer or sound designer. The price fix on this and all of the speakers in this series is outrageously low! Almost too low to list! If you like to do things yourself and need the parts you can trust, Technical Pro has got you covered!